In stock! We have 6 of these ready for immediate dispatch or more available on demand. 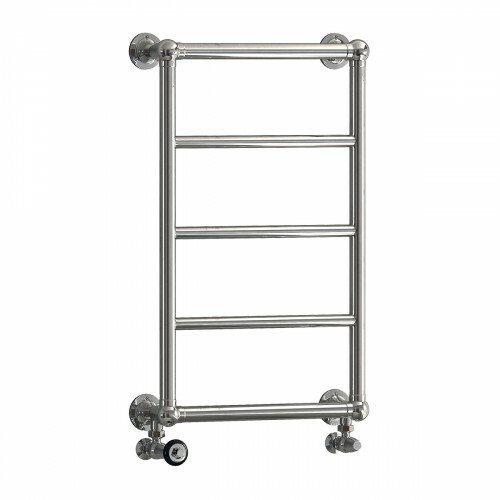 498mm wide and 794mm tall five bar towel radiator. Wall mounted. Perfect for en-suites, saving on space without lacking design. Made in Europe with a 10 year guarantee. Chrome-plated screws included for a seamless installation. Add Windsor valves and matching shrouds and base plates for the perfect finishing touch. 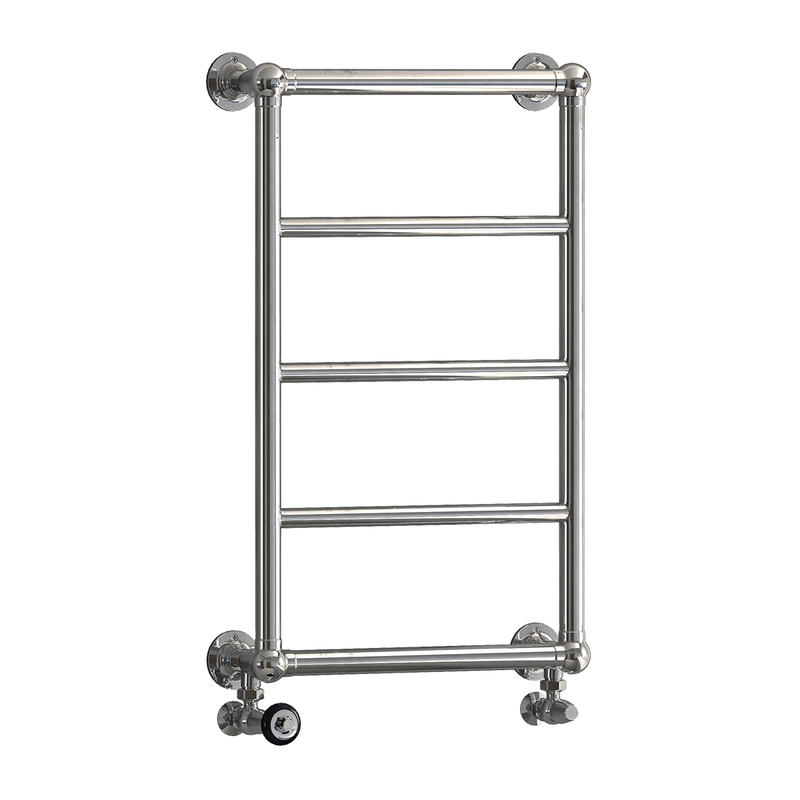 Made in Europe to EN442 and guaranteed against all manufacturing defects for 10 years. See details of our Ironshield Guarantee for more information.